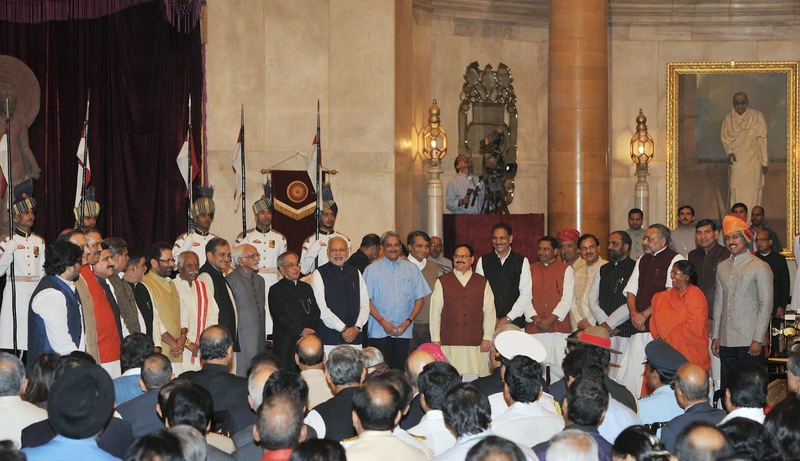 On 9th November, 2014, Prime Minister Modi Government has got 1st cabinet expansion. In this expansion, there are few more ministers are added in cabinet. Major changes are Ex Goa CM Manoar parikar has given Defense ministry, Suresh Prabhu got Railway ministry, J P Nadda Got Health ministry. Below is full and update list of Narendra modi government's Cabinet ministers along with their portfolios. Check out the below mentioned list of Allocation of Portfolios amongst the members of the Council of Ministers. 65. Shri Vijay Sampla: Social Justice & Empowerment.